You'll get in some beach time at Playa de San Luis and Bahia del Cove. Spend the 14th (Tue) exploring nature at Manglares de Old Point National Park. The adventure continues: look for all kinds of wild species at La Piscinita, enjoy the sand and surf at Playa de Spratt Bight, step off the mainland to explore Johnny Cay, and explore the fascinating underground world of Morgan's Cave. To see traveler tips, more things to do, and more tourist information, read our San Andres Island visit planner. 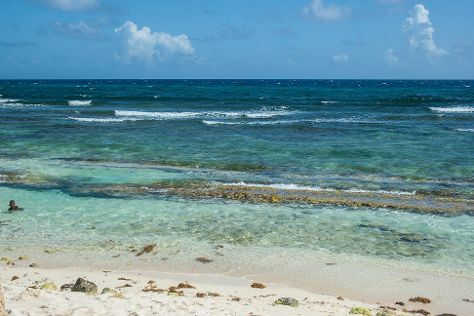 In May, daily temperatures in San Andres Island can reach 36°C, while at night they dip to 30°C. Finish your sightseeing early on the 14th (Tue) so you can travel back home.